A case report of simultaneous hypotensive patients managed with concurrent REBOA in a single-surgeon, austere combat casualty environment. MANLEY, Justin; LE, Alexander Tuan; NAM, Jason J. A case report of simultaneous hypotensive patients managed with concurrent REBOA in a single-surgeon, austere combat casualty environment.. Journal of Endovascular Resuscitation and Trauma Management, [S.l. ], v. 2, n. 2, may 2018. ISSN 2002-7567. 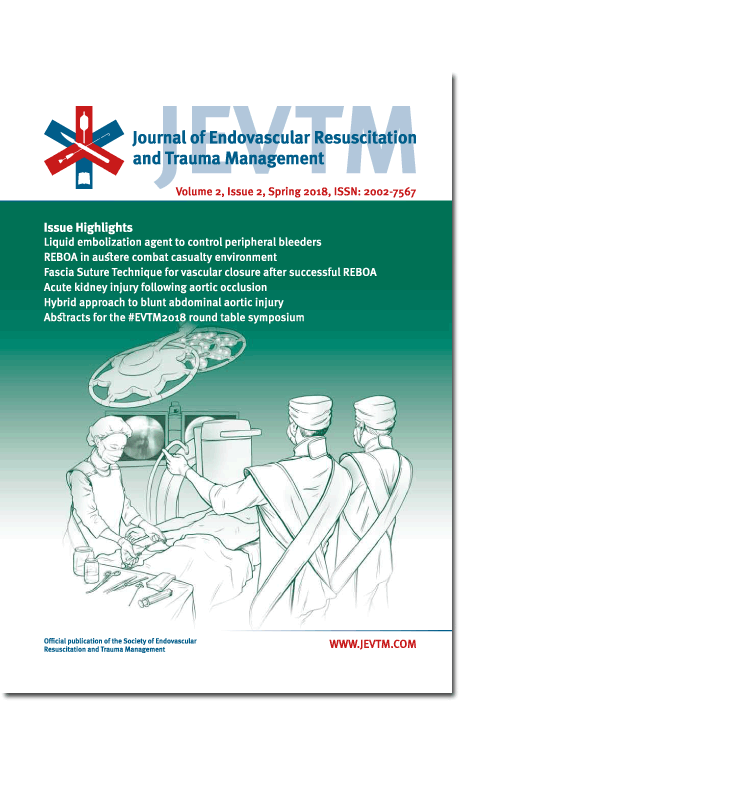 Available at: <http://journal.jevtm.com/index.php/jevtm/article/view/47>. Date accessed: 21 apr. 2019.